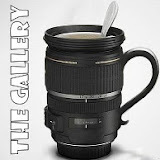 The theme for this week's The Gallery is: Planes, Trains and Automobiles. I have to say I am gutted because Aaron LOVES PLANES, and we just spent from 7th to 16th July, but as it was so stressful getting on and off the plane with buggy, toddler and hand luggage (and I was travelling alone) I did not stop to take a photo of the plane :-( and maybe the security staff would have objected anyway? 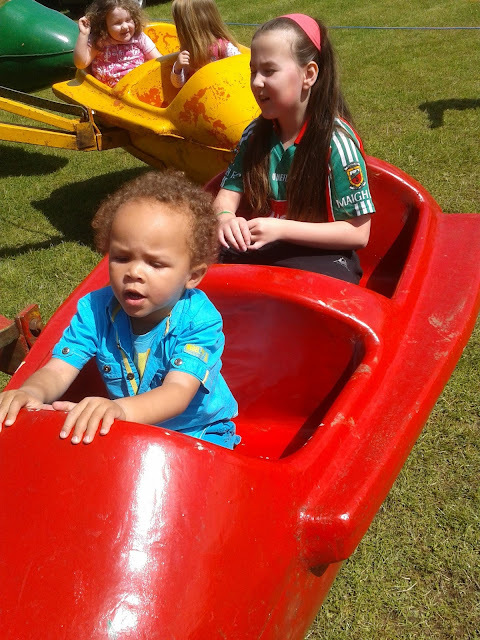 So I will have to interpret the prompt as transport and instead share a picture of Aaron on a tractor in Ireland which he simply adored and thanks to my generous cousin he was on there for about an hour and a half. After the tractor, he had to make do with the below, bless him! I totally forgot that I have photos on my phone as well as on my camera. Such a lucky boy! Stuff of dreams for many small boys x.
Oh it was a dream come true for me too. Everytime they charged up and down the lane I ran out and he'd shout Mummy and wave at me, and he LOOKED SO PROUD. He was in awe of where he was. Neither of us took it for granted. Being Londoners we were very grateful for the opportunity. The tractor is huge! At least with the cosy coupe he can get around by himself! Cute photos! Oh is that what it is called - he was in it for hours, two weekends in a row = the Sunday and the following Saturday. Wouldn't even get out of it to eat. Really enjoyed reading your post. I think we share our sons' passion for vehicles and look forward to reading your blog!